Today after my morning workout I needed some protein...stat. I also noticed that my bananas were getting ripe. 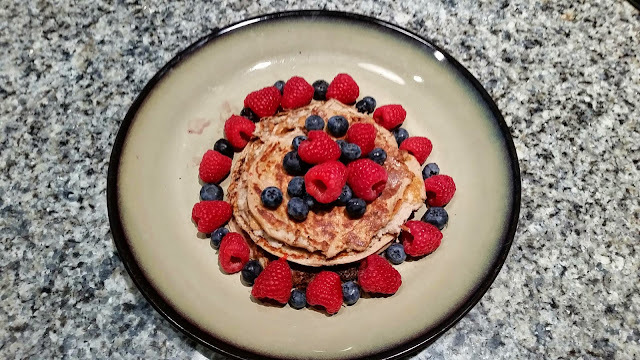 So I thought...protein pancakes it is! So I googled recipes online and found this one from Body Building. 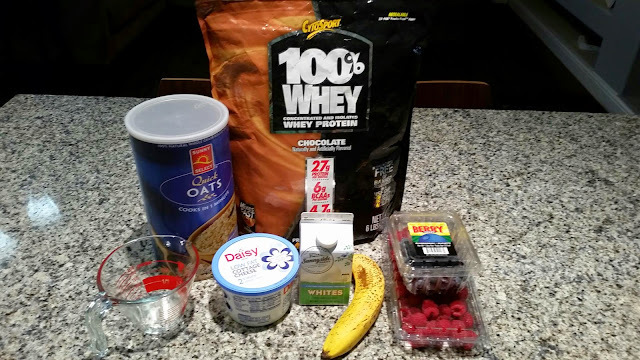 I made some modifications since I only had chocolate protein powder and wanted to use my ripe bananas. It is rather simple...cleat eating at its finest! 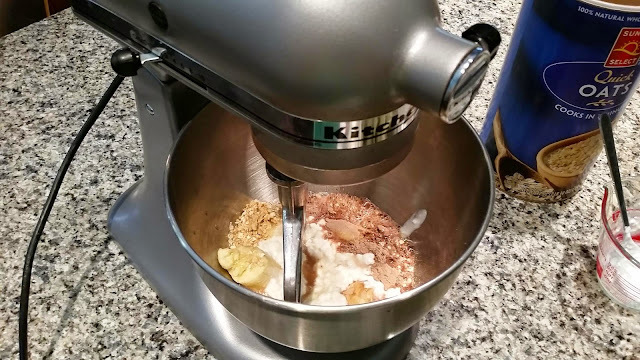 Blend all ingredients until a batter forms. I used chocolate protein powder but I believe the recipe says to use vanilla. Pour over a hot griddle. 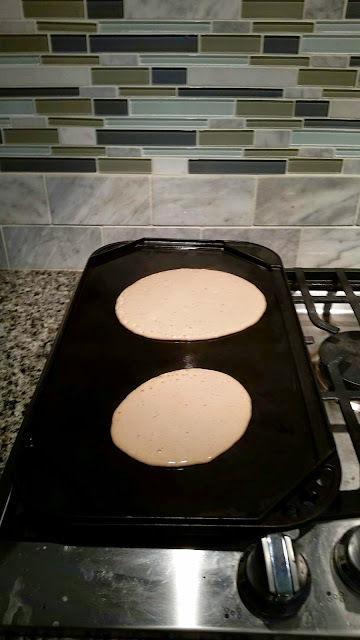 Flip when the edges start browning. Decorate with fresh fruits. I opted not to use any maple syrup to watch my calorie intake. Have you tried new recipes this week?